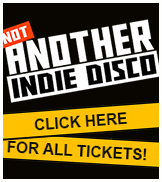 Tickets for Not Another Indie Disco events are currenlty on sale up until June 2019. 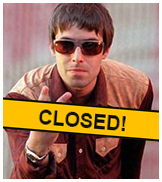 Please be aware that we are closed for Easter this weekend. 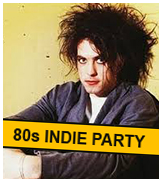 Usual indie disco fun resumes next week, so see you then! Yeah Yeah Yeahs, The Libertines, The Cure, The White Stripes, Arctic Monkeys, Pulp, Joy Division, Fat White Family, The Stokes, Suede and more. 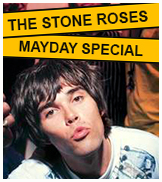 Expect a night of non-stop indie bangers from the 80s, 90s, 00s and now Click here for tickets. 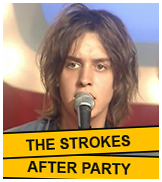 Join us after The Strokes gig at Vic Park as we keep the party going until 3:30am! 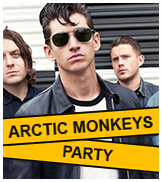 Expect more Strokes as well as Arctic Monkeys, The Libertines, Interpol, The Vaccines, Parquet Courts, Yeah Yeah Yeahs, The Smiths, The Stone Roses and more classic indie from 80s-now! We are on every Saturday night at the O2 Academy2, Islington from 10.30pm-3.30am. Advance tickets from £4.50 (plus booking fee). Click here to buy tickets, or call 0333 321 9999. Tickets on the door: £6 before midnight, £8 after. NUS tickets £5 all night. Check our Facebook page for announcements.